Malaria along the Thai-Cambodian border is becoming increasingly tolerant to Artemisinin medicines, threatening the global effort to control malaria, new evidence shows. Artemisinin-based combination therapy (ACT), whereby patients take both a fast-acting (Artemisinin derivatives) and slower-acting drug to kill the parasite, could lose part of its therapeutic effects though it still remains over 90 percent efficient. "We are facing a problem that instead of killing most of the parasite within 24 to 36 hours as before, Artemisinin derivatives now need up to 120 hours to clear some of the parasites from the bloodstream," Pascal Ringwald, a medical officer at the World Health Organization (WHO), in charge of monitoring anti-malarial drug resistance, told IRIN from Geneva, referring to a study conducted between 2006 and 2007 in Cambodia. The parasite's tolerance to Artemisinin, one of two drugs in ACT therapy, could become one of the factors behind a possible reduced efficacy of ACT - though so far the partner medicines usually remain effective. Usually, doctors will prescribe Artemisinin with one of many slower-acting drugs. Artemisinin monotherapy refers to taking the drug alone and is not recommended by the WHO. ACT, recommended by WHO, is the more advanced therapy comprising two drugs and remains effective in most parts of the world. "Artemisinin resistance is beginning to appear in parts of Southeast Asia where there has been rampant and uncontrolled use of Artemisinin monotherapy," Sir Richard Feachem, director of the Global Health Group at the University of California at San Francisco, told IRIN. 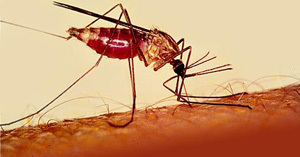 If the threat is not contained, resistant malaria will spread through the region, Feachem warned. Duong Socheat, director of the National Centre for Parasitology, Entomology and Malaria Control in Phnom Penh, told IRIN that ACTs, combined with outreach and prevention tools such as mosquito nets, had seen remarkable progress despite a tolerance threat. A total of 100,000 malaria cases were reported in 2006, falling to 59,000 in 2007 and 54,000 in 2008. A new ACT called dihydroartemisinin-piperaquine (DHA-PIP) is virtually 100 percent effective, according to new trial results in Cambodia. 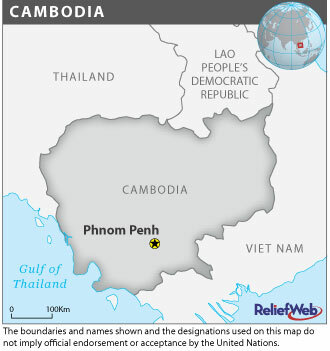 The malaria death rate has been halved in only two years in Cambodia, from 396 in 2006 to 241 in 2007 and 184 in 2008. The WHO also recommends wider distribution of mosquito nets, stricter enforcement of the ban on monotherapies, and the rapid deployment of WHO-endorsed drugs. Yet merchants often sell cheap, counterfeit monotherapies in rural areas that are popular among residents. Malaria has become resistant to most medicines over the last decades, and Artemisinin tolerance is only a new phase in the parasite's evolution. Factors such as gem-mining migrants at the Thai-Cambodia border spreading malaria around the region, an unregulated drug market, and overuse of Artemisinin monotherapy have all caused Plasmodium falciparum, a common malaria parasite in Cambodia, to develop resistance to the anti-malarial medicines. The government responded by endorsing ACT in 2001 and considering banning Artemisinin monotherapy some years later. But even ACT, despite being more than 90 percent effective against malaria, will need to be tweaked as the parasite evolves, Feachem said. "Ensuring that Artemisinin is always given with another drug, in the form of ACT, is a clever use of a clever drug," Feachem said. "However, parasite resistance will eventually catch up with this, and for this reason the development of new drugs ... is of the utmost importance to the health of people worldwide." Fake drugs and patients not complying with their treatment schedules are other factors. "If people don't take their drugs regularly, then they will have problems with resistance," Hou Nirmita, head of the health department at the Ministry of Women's Affairs, told IRIN. But Feachem, who thinks malaria could be eradicated worldwide by 2050, sees hope. "The challenge of drug resistance, and the fact that we can never prevent the development of resistance in the long term, provides a strong argument for the acceleration of elimination and control efforts now," he said. "To delay or to implement programmes in a half-hearted manner is both expensive and dangerous," he explained. According to the WHO World Malaria report for 2008, half the world's population is at risk, and an estimated 247 million cases led to nearly one million deaths in 2006. Pregnant women and children in Africa are especially threatened, the WHO says.